To commuters’ chagrin, gas prices are creeping up to $4 per gallon in certain parts of San Diego County and prices aren’t expected to slow down. One downtown driver forked over $50 to fill up his mid-sized sedan. Prices were exactly cheap the last time he refilled, but this one still hurt. “It had been two weeks since we last got gas so this came as quite a shock,” Paul Dombrowski said. Xifiofan Chen was beside herself when she saw what she’d have to pay in Mission Valley. “That's insane! That's a lot!” said Chen. 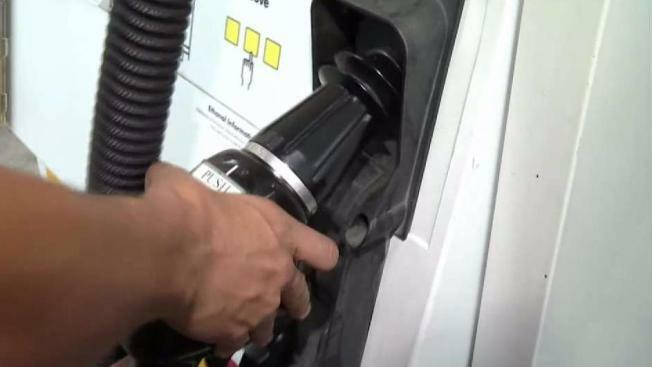 We’re still months away from June, which is typically when gas prices are at their highest, and most drivers know that there’s not much they can do about it. “It's just insane. Prices keep going up, up, up and there’s no explanation behind it, aside from just high prices,” driver Edgar Ramirez said. Since the market's close on Friday, the price of crude oil is at $64.91 per barrel. In 2012 when San Diego County saw gas prices over $4 per gallon, the price of crude oil was at more than $90 per barrel. According to Friday’s crude oil price, we should be seeing gas prices that are 6 cents less than the average price in the county. “Whenever you see a price of a commodity that people absolutely need for their daily lives, and it is increased when there isn't a reasonable explanation for it, that's always going to be upsetting,” Dombrowski said. The highest gas prices NBC 7 saw in the county on Friday were in La Jolla where at a 76 Station on Pearl Street and Eads Avenue, drivers were paying $4.89 per gallon for premium. If you want full service, you will be paying closer to $5 per gallon for premium gas. To follow the gas price trends, tune into NBC 7 News on Monday and Thursday evenings for Consumer Bob's gas price forecast.